One of the biggest struggles for a business is to adjust their marketing strategy for the new age. Also, when a business enters the market, plenty of times there already are a couple brands already dominating the space who have more resources at their disposal. How does a business differentiate itself? According to the United States Bureau of Labor Statistics, 50% of businesses fail after the 5th year of existence. In fear of being another statistic of a failed business, perhaps our biggest question on running a business is getting past the point of critical mass. After compiling what we learned through experience and mapping our actions with the help of experts then executing. We made a list of what we learned along the way. Growth Hacking is how a small company compete head to head against their competitors who are more well funded, have a bigger team, have higher quality contacts, resources, and much more at their disposal. Growth Hacking doesn’t focus as much on paid traffic as much, because there are other ways that your competitors in the space aren’t doing. Often being looked over; SEO, PR the right way, Content Marketing, Relationship Building, and Creating a Customer Journey have proven time and time again to bring new companies success. Growth Hacking has become such a novel term among the startup companies and hard working hustlers that its almost considered a pseudo-science to skeptics. The thing with the success stories is that the success is driven by people who are doing whatever it takes and have their ears to the ground for new tactics. Growth Hacking to me is also Guerrilla Marketing, Creative Problem Solving, and Hustling. You don’t always need to throw money at problems to get scalable progress in growth. In fact, most of the time you are better off doing it yourself because the companies winning are lean, prioritize and execute on the right things. If that’s not growth hacking, I don’t know what is. This is why highly sought after experts like Neil Patel, Brian Dean, Gary Vaynerchuk and many more, are getting offered big contracts to come in and turn revenue and growth of companies on their head. There is a whole world of techniques nobody uses to get more people to their website, generate interest in your brand, and truly connect service to audience. How do these marketers consistently use tactics to grow? Would I be wrong in saying that TV ads aren’t necessarily where majority of eyeballs are minus the big sporting events? Again, would I be wrong in saying that billboard ads aren’t possible to truly track measures like Reach (total amount of people who have seen your ad) and Frequency (How many times they saw the ad) to provide you a better insight to ad testing? We are in an age where our collective attention is being shifted from television and radio → to cell phone web browsers, social media and other apps. The successful companies will act first on shifting to make content that is consumable from social media and mobile devices. 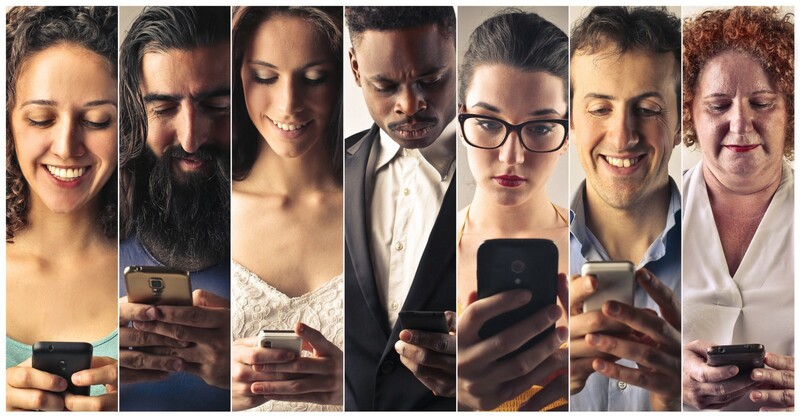 These first to market companies see success because they understand the preferred communication channels will make it easier for consumers to engage. By making it as easy as possible for someone to be guided through the customer journey of being in your company’s orbit, but without wasting your energy to find them, you are creating the ideal situation. You can now focus on serving them better instead. How many times have we heard of someone’s life changing after a viral video comes out of them? “The Backpack Kid” now has 1.6 million followers on Youtube, was on an SNL skit, Ellen, shouted out by a variety of celebrities in terms virality. Now advertisers will go to the kid and pay him thousands of dollars for an individual promotional post. Because of the attention his audience gives! The same tactics apply towards a small business. If you have a solid foundation, you can have a viral outbreak that can lead you to critical mass, the moment where your businesses shifts in a monumental way where revenues, popular opinion and customer satisfaction expand. An example of a small business who reached critical mass through virality is Dollar Shave Club’s Youtube Video. According to Entrepreneur.com, in the first 48 hours of this video being posted 12,000 people signed up for the Dollar Shave Club. 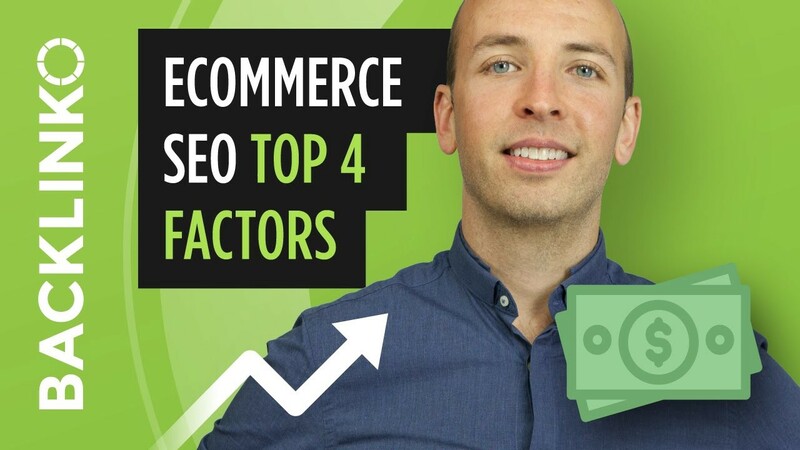 With average order value of $6 on the first sale and $1–$2 recurring revenue, they made roughly $72,000 in the first two days of posting this video in addition to $12,000 to $24,000 in monthly revenue. How much did they spend on making the video you might ask? It’s safe to conclude that this Youtube Video was a net positive for their brand, considering their first two days and how their viral post unleashed the flood gates of many other subscription boxes entering the marketplace. Another example of capitalizing on underpriced attention could be Facebook Ads back in 2009 where the platform was generally unheard of. As well as Google Ads in the early 2000s where anyone could literally own all the search traffic for a word like “wine” and every variation of a search query around it. Prices have risen since and the space is more competitive across both ad platforms. Many experts believe that attention is still underpriced on Facebook, Google, Instagram, Snapchat Ads, Bing Ads, etc. Don’t forget about these channels now, where attention is actually free like Quora, Reddit, and minimal to free on a blog or forum. Certain platforms will be either more ROI positive in the short and long term. In regards to underpriced attention though, it’s imperative that you are everywhere with a company’s digital footprint. This will only become more true as time passes. The importance of video to a businesses’ marketing strategy is going to be crucial to reaching a large audience. For me I excelled at writing long form posts. The key is to format all your content to videos because according to Brian Dean, video has shown to be over 10 times more effective than any other channel he makes his content for. The picture above illustrates the point I’ve been making, attention has shifted to phones and people are increasingly shopping more online. And for the very first time, not desktop and laptop, but MOBILE was the majority channel for online sales during Black Friday. Sales coming it at 2.1 billion dollars. Also, if you read our previous post about increasing sales from other countries, you’ll remember that a great way to optimize your website is to make sure your page is compliant with Google’s framework Accelerated Mobile Pages (AMP). That, along with using Content Delivery Networks, testing your websites speed with the Google Developers PageSpeed Insight Tool, you can make sure your website delivers the best experience for your customers. Implementing these strategies will be key over the next 10 years as the Google algorithm will reward websites that are mobile device friendly with higher page ranking and more traffic. There will always be people missing from the entire scope of an advertisement, all of your content on every channel, but for people who do not use social media and avoid paid ads, how many of those customers use a search engine like Google or Bing? No matter how overwhelming it seems, the point is to be present on every platform, not just one paid channel. It’s more important to try and ride every wave possible because it’s a missed opportunity when you get to a platform too late, is where you truly miss out on an opportunity. For instance, one “growth hack” is that many people missed the boat on messenger chatbots. Facebook indefinitely shut down the connection of any new chatbots for a period of time. Of course, now Facebook is letting people use chatbots again, but the temporary scare made marketers value the opportunity to use this medium. Comparatively to emails, the open rate is upwards of 90% and click through rate upwards of 35% for many marketers. Good luck trying to get those metrics with emails. To the point, when your reach widens, you can be first to market on these new emerging social media channels. 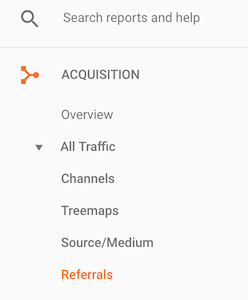 You then realize that an attention shift is developing, possibly based off some success you have had in smaller scales (Try checking your Google Analytics Dashboard-> Acquisition->All Traffic ->Referrals for Data). There could be countless reasons to keep testing ads and experimenting. The amount of times your ideal customer sees the ad increases, additionally it is possible of reaching new audience members. You could possibly get new customers because you missed them on previous platforms, due to the structure at the time and past data. While admittedly, some knowledge is platform specific. However, evergreen skills and measures like copywriting, conversion rate optimization, and providing true value for the consumer will apply to any Ad Dashboard (Facebook, Google, Bing, Snapchat, Instagram, Pinterest, Reddit etc). 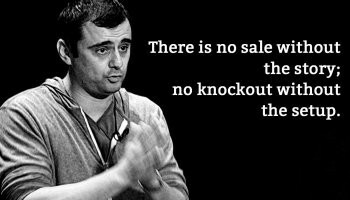 From this short one minute clip, Gary Vaynerchuk explains that executing on high-quality content across any platform is the true long-term strategy. But growth hacking is doubling down on that content and being active on every platform then seeing where the chips fall. Minimize your risk by going all in on content across all platforms. According to Statitsa.com 1.17 billion people who use Google Search. Assuming you are either operating in a country where internet is accessible you can infer that a majority of your customers will see you online if you have a presence. The search engine is the mechanism where a user will type in a query to find the answers they are looking for. The pages of your site have content in it obviously, and with some effort and research, your pages will rank for words and phrases that your customer would type in. Having that visibility on the first page, if not the first 3 results, is what the most critical to the success of leveraging SEO and search engines. Considering this being an older statistic it’s safe to assume more people have found their end result on the first page since 2014. In an age where billions of search queries are performed every year, it’s of the utmost importance that your page is in the first page of results if you want to build a bigger customer base without relying on traditional outreach. As the mass adoption of computers began in the early 90s to today where many people are internet accessible 24/7 from their phones, this opened up a whole new world opportunity. This same opportunity is what made Jeff Bezos go from selling books to selling everything. Amazon understood the shift taking place and that mass adoption of the use of Search Engines will enable companies to operate solely online if they wanted too. Right they were, as there came to be millions of online companies that were successful. The new edge that these lean companies can come out of garages and compete with the only channel of communication with the public being on the internet! Consider this: Every search query that asks a question makes Google crawl the entire web and return the most relevant results for the search. If your company and website can show up on the first page for a variety of related search queries and questions your customer would ask on a search engine, then you have market share of the attention surrounding that space on the internet. So its really important to do keyword research on your company. Find out how to perform keyword research with Brian Dean here. The struggle is split equally between competing in the search engines to reach the first page, and how much people that click on your result end up becoming an actual customer. Reasons why we keep hearing stories of Toys R Us going under because they fail to adapt to the new era, subscription box companies becoming prevalent among a variety of subscription based services, stories of amazon dominating the online sales channel, platforms enabling individuals to participate in eCommerce like Shopify, is because the world is bringing commerce online. That’s where the discussion is going, and is what is data shows as Generation Z and Millennials become the majority age groups. The paid ad space along with relevant search engines will continue to evolve as more people start to use these platforms. The fight for the first result on the page is only going to get more competitive. This is because voice search on Alexa or Google only displays one result at a time. Google is investing millions of dollars in AI, Google’s search engine algorithms take swings in distinct directions all the time, and time shows more and more people are using voice search in addition to typing queries. Brand queries according to Neil will be more important so the brand in addition to the service you provide like “Neil Patel SEO” because many people are searching in this form to find out more about topics. This will be more and more common of a search type as voice becomes the predominant search medium and it is difficult to deliver your message so well that your customers type in brand queries. For those wondering more about detailed Voice Search Data check out this intensive research by Brian Dean at Backlinko. According to this brief 3-minute clip by Neil Patel, he suggests that Virtual and Augmented reality will equip advertisers with the tools to give customers not just video ads, but experiences. Like how Redbull always sponsors these crazy stunts, now customers will be able to wakeboard in the Caribbean in the comfort of their front room. Or how The Home Depot shows you what your home would look like after you did certain improvements around your place. According to the Digital Marketing Institute, there are countless examples that other companies have done that’s more service base while utilizing VR & AR. Finding a way to implement Virtual and Augmented reality is key to evolving with the times in terms of having a well-rounded marketing strategy. One company leading the way to this revolution in advertising is Allen Smithson of Metavrse, who is an expert in making virtual and augmented reality advertisement solutions. 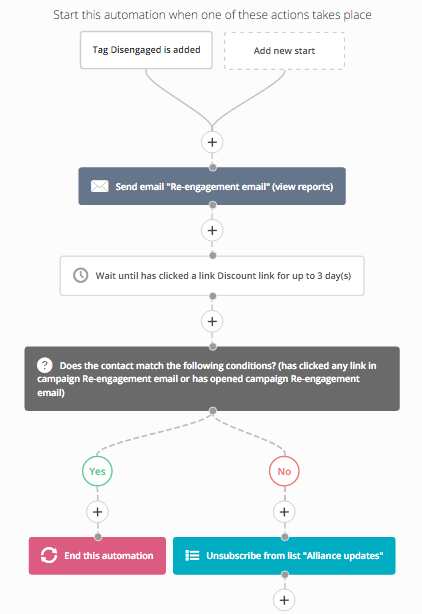 Last but not least, for the next 10 years it’s really important that you perfect your inbound sales funnel. The take away from this insight is now that we have an eruption of internet search being the predominant medium of shopping, you as a business owner can take your audience can through a customer journey from start to finish without your direct assistance. 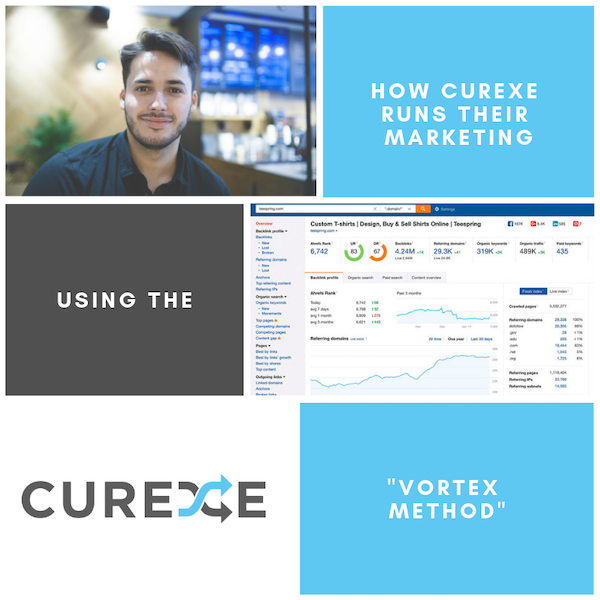 Meaning one part of the equation is having your website showing up for search queries related to your product or service, and the other important part having to do with your inbound funnel is the ability to turn these website visitors into customers or prospects. It’s one thing if they buy from your site upon the first visit, but most sales cycles are a little longer, which is why it’s key to at least get an email address so you can continue to market to them after they visit your site. You turn visitors into prospects by using automation to take out of the heavy lifting on: a good reason to subscribe to your list, necessary customer email sequences, ease of creating accounts and usability, customer feedback surveys, certain aspects of customer service, and delivering content for your audience across platforms. If you don’t have a solid foundation sales processes or funnels, then all the targeted traffic you are driving to your page will be pointless because you aren’t convincing them to become part of the audience you can easily reach for further marketing. Marketing and Driving Business Development is prime for disruption across a variety of emerging technologies. Time has shown that businesses who do not adapt to the way markets react to emerging tech are left behind. Visit blog.curexe.com for more actionable advice to help grow your business. We are a fully registered money service business through our regulatory body, FINTRAC. Our registration number is M15213328.